State oil giant Saudi Aramco has reinforced its role as the number one producer of crude oil and condensate, adding value by integrating refining and chemicals production, and expanding cleaner natural gas supply to meet domestic demand. The company will maintain its position as the world’s leading crude oil producer by production volume by tempering production from mature fields, accelerating younger fields and secondary reservoirs, and developing fresh reserves from new increments, while diversifying operations to capture value from strategic integration and expand natural gas activities, said Saudi Aramco in its 2017 Annual Review released today highlighting its strategic achievements. President and CEO Amin H. Nasser said: "In 2017, Saudi Aramco continued to deliver on its long-term strategy of reliable supply to meet customer needs, thereby driving economic growth in the Kingdom and around the world." "Despite uncertain, volatile market conditions, we continued to create long-term value to benefit our shareholder, customers, and partners. This year’s review underscores how Saudi Aramco is committed to playing its part in meeting the world’s energy needs today and tomorrow by continuing to invest wisely throughout the cycle and across the value chain," he added. Nasser pointed out that in 2017, Saudi Aramco progressed a slate of oil and gas mega-projects in the upstream. He also highlighted that in the downstream, the company continued to enhance its global network and completed key agreements designed to extract maximum value across the hydrocarbon value chain. 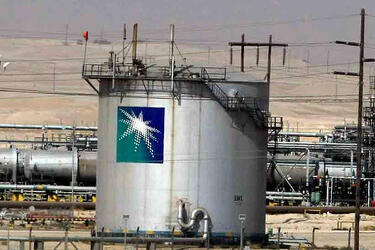 Importantly, he stated, Saudi Aramco’s safety performance remained strong and among the highest in the industry. Last year, Saudi Aramco reinforced its premier upstream oil and gas position, optimizing its stewardship of the kingdom’s hydrocarbon resources. Designed to maximize long-term value, the company’s upstream strategy focuses on leveraging competitive advantages in production scale. The company produced an average of 10.2 million barrels per day (bpd) of crude oil, including condensate. Total raw gas processing averaged 12.4 billion standard cubic feet per day (scfd). The company discovered two new oil fields (Sakab southeast of Haradh and Zumul in the Rub’ Al-Khali) and a gas reservoir (Jauf, in the Sahba field), and continued its program to increase the capacity of the Khurais field by 300,000 bpd in 2018. The company continued its efforts to increase domestic gas supplies, providing additional feedstock to drive industrial utilities expansion and improve national energy efficiency, while making more crude oil available for export. Major project achievements included readying the Midyan non-associated gas field to produce 75 million scfd of natural gas and 4,500 bpd of condensate, displacing liquid fuels for use in power generation, and progress on the Fadhili Gas Plant designed to process up to 2.5 billion scfd of raw gas, a component in raising the company’s overall gas processing capacity, said Saudi Aramco in its report. Additional programs to expand capacity included the Hawiyah Gas Plant’s new processing facilities, which are expected to come on-stream in 2021, and add more than 1.1 billion scfd of processing capacity for a total of approximately 3.6 billion scfd, it stated.